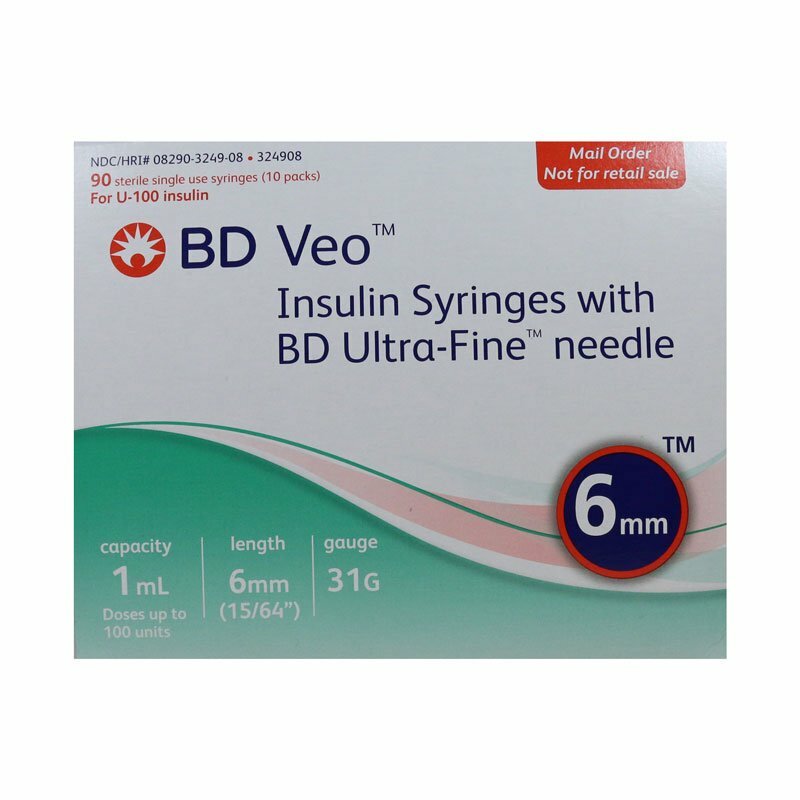 The BD Veo Ultra-Fine Syringes 31g 1cc 6mm 90 Count is easy to read and able to use with a one-handed technique. BD Veo 31g 6mm insulin syringes are equipped with a wide flange that feels more secure in your hand. An extended barrel anchors and balances the syringe to offer greater control while you perform one-handed injections. The ultra-fine needle keeps pain and soreness to a minimum. You can feel confident in your ability for precise dosages thanks to the easy-to-read large-scale markings on these syringes. Each box contains 90 BD Veo insulin syringes with ultra-fine needles. these new short needles allow me to insert the needle at a 90 degree angle and not stick my peritoneal muscle. this may not be anatomically correct, but just know that the needle goes thru my skin layers and that's all (unless I push too hard).